Our Instrument Panel (IP) products provide a crafted look, backed by controlled manufacturing process and our high quality standards. HFI prides itself on making world class products that are used by millions of people every day.  With facilities strategically located throughout North America, HFI has the capabilities and locations to best serve the demands of the just in time automotive industry. HFI manufactures various products for instrument panels including large dash panels, gap hiders, glove boxes, and cluster hoods. Our expert group of development and quality engineers analyze customer quality, safety, and styling requirements to develop the best fit processes for a wide range of soft trim automotive applications. HFI is a global ISO 9001 certified manufacturer with the people, processes and tools to meet your development and manufacturing needs.